It might have felt like an eternity to Iowa Central having not won an NJCAA Division I Cross Country team title since 2015. The Tritons’ teams reeled off five in a row from 2011 to 2015 with the women winning three in a row from 2011 to 2013 and the men doubling up in 2014 and 2015. Well, the wait for another title is over. 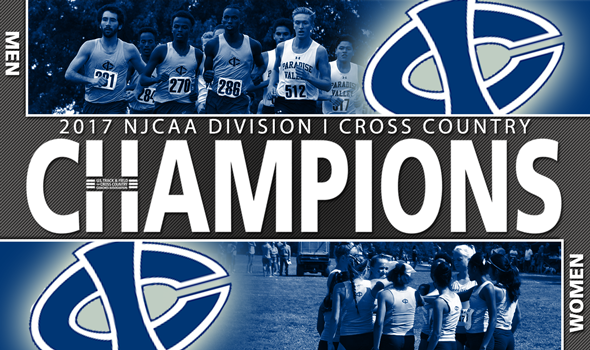 Iowa Central swept the team titles at the 2017 NJCAA Division I Cross Country Championships on Saturday. The host Tritons did so in front of their home fans. In the men’s race, Iowa Central put six of its seven runners in the top-30 and outpointed Central Arizona 65-112. Ezekiel Kipchirchir finished runner-up to lead the Tritons, while teammate Karim Achengli took third overall. The Vaqueros were the only other team in the men’s race to have four or more runners in the top-30. Central Arizona placed four in that group, paced by Manuel Olivo-Quinones (fourth). South Plains (Texas), Gillette and Allen County (Kan.) rounded out the top-5 of the men’s standings. Southern Idaho freshman Eric Fitzpatrick won the individual title in 24:44.0. In the women’s race, Iowa Central had all seven of its runners in the top-30 – including five in the top-20 – to score 52 points. Central Arizona finished runner-up with 135 points. Adva Cohen led the Tritons and was the individual champion in 17:24.4. Cohen finished nearly 20 seconds ahead of Garden City’s Sandra Szpott and was one of two Iowa Central runners in the top-10 (Marion Bartilol was the other). Cowley County (Kan.) finished third as a team, while Southern Idaho and Allen County (Kan.) were fourth and fifth, respectively.